Home The NerdBliss Podcast – Episode #102 – Patton Oswalt, A Giant Woman…AND STEVEN! 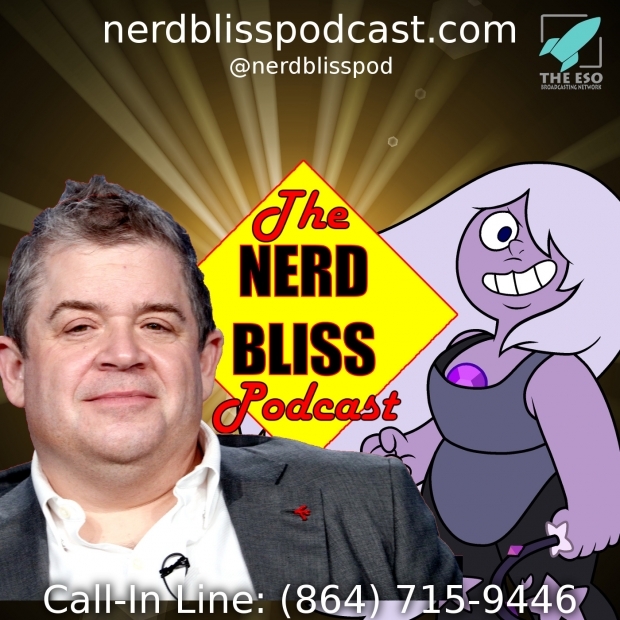 The NerdBliss Podcast – Episode #102 – Patton Oswalt, A Giant Woman…AND STEVEN! Adam Whetston guest hosts in this episode, and you get to hear how we plan an April Fools joke. We actually recorded this BEFORE we recorded the April Fools recording, but we knew it would go out after the joke. Hilarity ensues. Tina and Chris talk about going to see Patton Oswalt at The Peace Center in Greenville, SC. and discuss cloning him. And much to Dan’s happiness, Tina and Chris finally started watching Steven Universe! Call or text us 24/7 at (864) 715-9446 and leave us feedback on this or any other episode. We might play or read your message on the show!